It is compatible with both 1st and 2nd Generation Moto 360 Watches. Does NOT Include USB Charging Cable. We are here for you! We strive for you to have a "Goldstar" experience start to finish! BT60 Battery Charging Dock. Received in bulk. Possible light scuffs. Very good condition. Original Motorola. And 3 USB ports to connect peripherals. Black color design. Model: (89474N). Silver & Supplies Central. Best Quality. Browse our. Cell Phones Batteries. Cases & Covers. MODEL: 89444N. FIT S:DOCKING CRADLE for MOTOROLA ZOOM. Includes Quick Start Guide. New in original box. MODEL: 89497N. FITS: DOCK for DROID BIONIC. MPN SPN5652A. Type Charging Dock. Connectivity Micro USB. 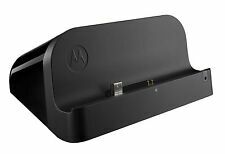 NEW Original Motorola Charging Cradle Case for ELITE Sliver HZ750. 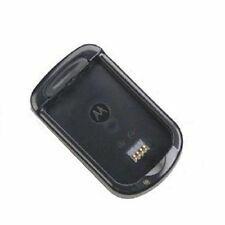 Motorola Charging Case for Motorola Elite Sliver HZ750. Either way, we have good news for you, you chronic Bluetooth-er. Better yet, this case is smooth, stylish, and discreet, so it'll fit nicely in the pocket of your tailored Armani pantsuit. 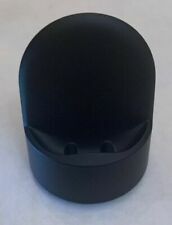 Motorola Elite silver Charge Case And AC Adapter **No Bluetooth**. Shipped with USPS First Class Package. This Motorola XT830C Moto E smart phone is in good condition. Works fine. See pictures. No sim card, no manual. Storage 2.17 GB. Black color design. Model: (89474N). UNBEATABLE VALUE. iPhone 8 Cases. Phone Batteries. UNBEATABLE VALUE. iPhone 8 Cases. Phone Batteries. For use with Droid X / Milestone X & X2. Item Location: R10A3 B7. P/N: 89429N. 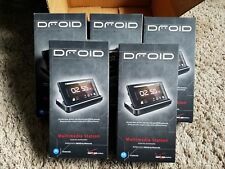 Motorola DROID 2 A955 / Droid A855. Sit back and relax, watch your movies, listen to your music, see the album's art as songs cycle through. 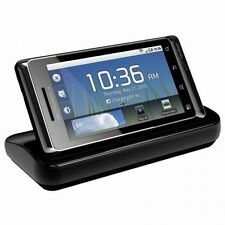 Includes an insert to allow use with DROID or DROID 2 by Motorola. Motorola Micro USB Cable Not included. 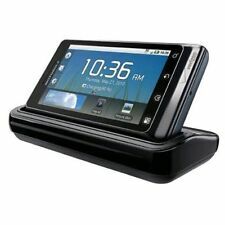 Standard dock for DROID BIONIC, by Motorola. HAS WEAR & SCRATCHES . SEE PICTURES. 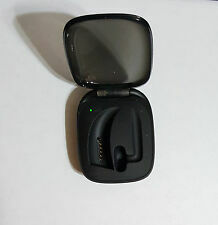 Motorola SJHN0198A. For Parts Or Repair Only. I am easy to work with. But there will be rare occasions when my best efforts are not enough and the item you have received has problems. - We will not mark any item as a “GIFT”. Allowing full access to phone's keyboard and side buttons while docked. All while providing simultaneous data connectivity syncing and charging. Dock and launch Motorola's webtop application, a multi- window feature with a full Firefox browser and Adobe Flash Player. Adapter plate for case compatibility. Quick Start Guide. Integrated HDMI port lets you watch and share your videos or pictures on your big screen TV. Motorola Droid Razr Maxx. Moto Z2 Play/Z2/Z Force/Z Droid Case SEE. Samsung Galaxy Case Holster Clip. Shockproof Slim Case for LG Devices SEE. It is in good overall condition with no sign of cracking or abuse. The dock is for the motorola xoom the item is new. Type: Charging Dock Cradle. Alternatively we can be reached via the info below;. Buy It Now button, you can see the. Continue button. make Supersized seem small. On the item page. INCLUDES FOLLOWING.